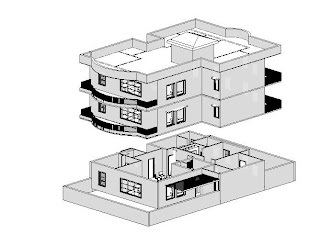 Now let us know how we can create and use the displacement sets in Revit 2014. I have used the following steps to explain the use of displacement set in a Revit project. 1. 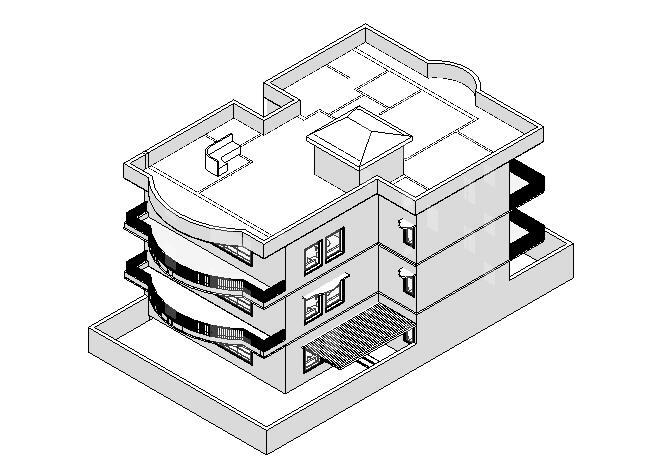 Open the building model. 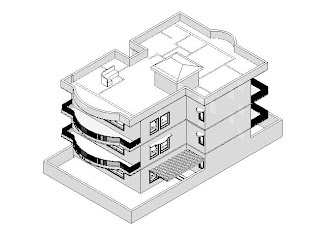 You can use any building model or if you want to use the building model used here, please visit http://www.cadcim.com/civilgisbooks.aspx?ShortName=Revit%20Architecture, or write to us at cadcim@yahoo.com. 2. Now, in the Project Browser change the view to a 3D view, as shown in Figure 2. 3. Use the ViewCube and align the view to Front. 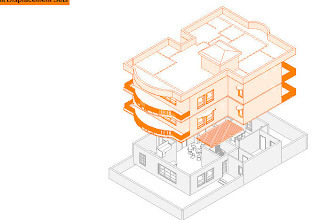 Now select all the elements above the ground floor, refer to Figure 3. 4. 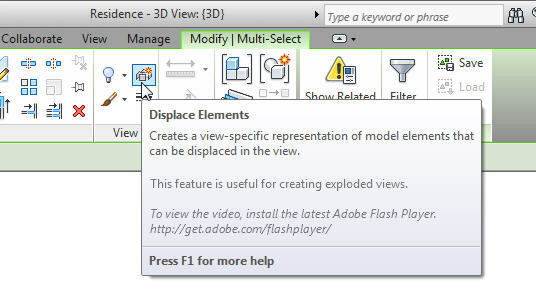 Now choose the Displace Elements tool from the View panel of the Multi|Select tab, refer to Figure 4; the Modify Displacement tab is displayed. 5. Now choose the Home button in the ViewCube to return to the default view. 6. In the 3D view, notice the xyz icon. Drag the selected element in the direction of the Z icon. Now click to deslect it. 7. In the View Control Bar, choose the Highlight Displacement Sets button; the displacement sets will be highlighted in a different color as shown in Figure 5. 8. Now, select the displacement set; the Modify | Displacement Set tab is displayed, as shown in Figure 6. Figure 6 The Modify | Displacement Set tab. 9. 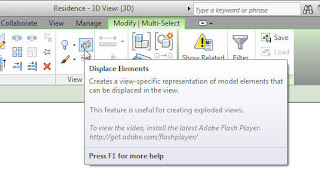 In this tab, you can choose the Edit button from the Displacement Set panel; the Edit Displacement Set floating panel is displayed as shown in Figure 7. 10. In this panel, you can choose the Add button or the Remove button to add or delete elements from the set. Choose Finish to exit from the editing mode. 11. In the Displacement Sets panel, you can choose the Path tool to trace the path of the displaced elements. On doing so, the Modify Edit Displacement Path tab is displayed and the cursor changes its shape. 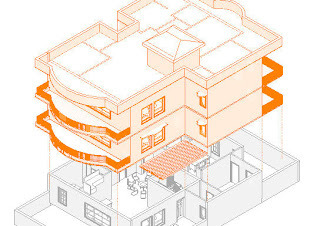 Move the cursor on the building element s in the displacement sets, the dotted line will appear. Click to add the path. 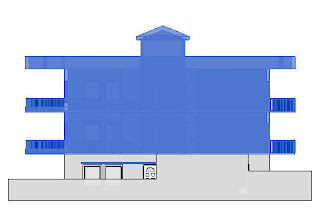 Figure 9 shows the path of the building added in the displacement sets. 12. Now to reset the building model select the displacement set and choose the Reset button form the Displacement Set panel; the building is reset to its original. The author of this blog has co-authored many BIM titles and has 11years of experience in BIM Impementation. .